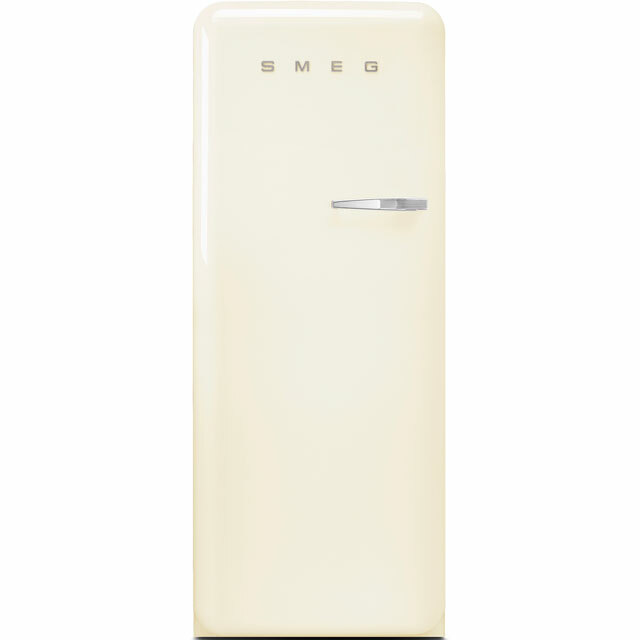 Make a statement with this fantastic cream fridge from Smeg. 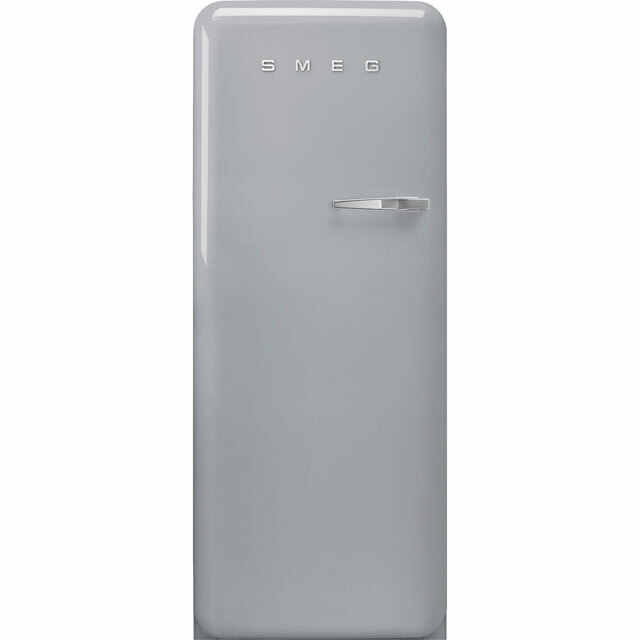 With a 223 litre capacity, it can hold up to 12 bags of food shopping – perfect for stocking up on your favourite treats. 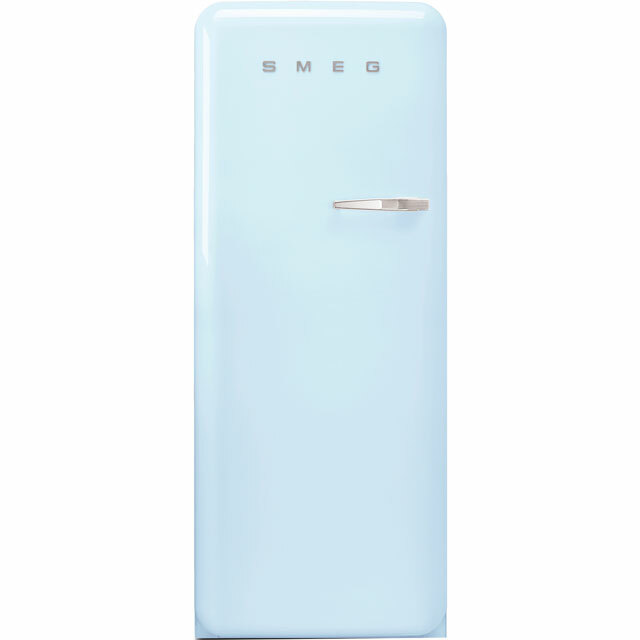 Its auto defrost feature prevents icy build-ups too, so you’ll never need to manually defrost it yourself. The 0°C Lifeplus drawer keeps the temperature inside at 0°C, which is the perfect environment for storing meat and fish. 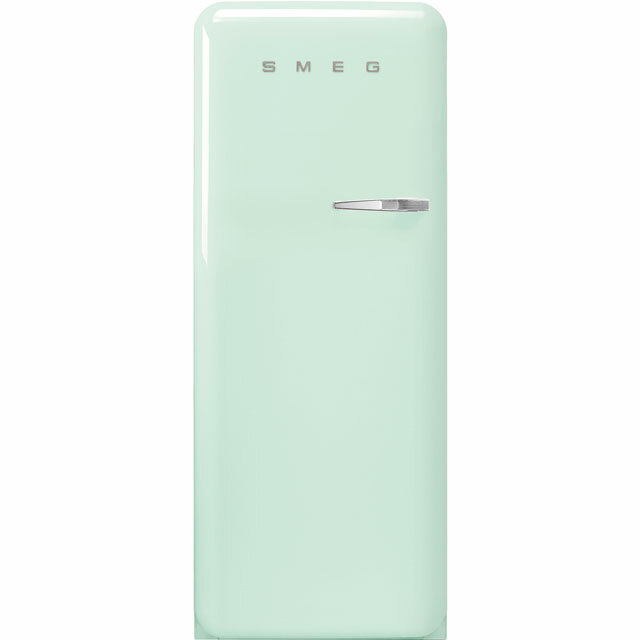 This model’s instantly recognisable design combines retro style with modern functionality, for the ultimate centrepiece to any modern kitchen. 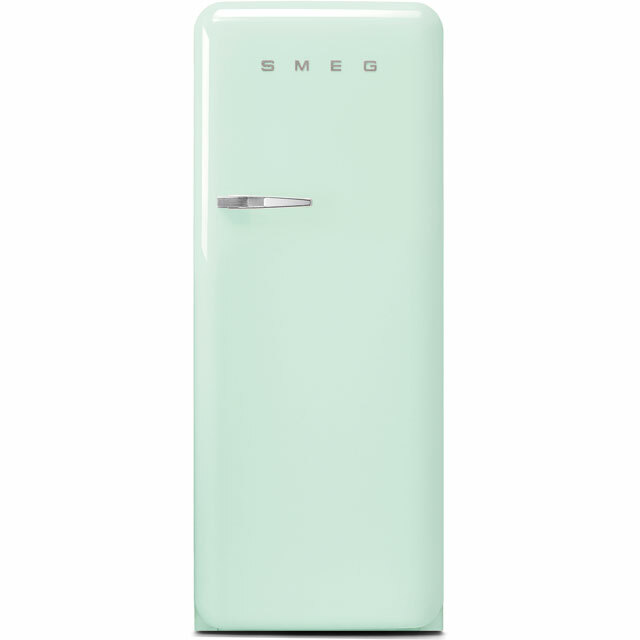 So pleased with our new Smeg Fridge. Great space for plenty of fresh goods and just the right size freezer compartment for what we need. Looks great in our Kitchen. Impressed with how quiet it also is. Brilliant fridge just like the description on the web site. The whole process of ordering, delivery and installation was easy and progressed smoothly. The fridge looks brilliant in my new kitchen. It is well made and looks like it will last for years. Good value for money. Really straight forward purchase and delivery. Great fridge. Could not be simpler and better. Absolutely chuffed with new fridge, final piece to are new kitchen ! Great service right from the start of the order & then to the delivery lads on are delivery date. Great looks, very efficient, quiet and roomy. All food is visible so nothing hiding to go mouldy. But best of all I no longer need to kneel on the floor to see into the bottom of the fridge. Love it. Pricey but worth it. Excellent build quality too.